Festival Focus: Kentucky Derby Race: How It Began? Kentucky Derby Race: How It Began? American entrepreneur Col. Meriwether Lewis Clark, Jr visited England and France, which he attended the Derby at Epsom Downs. After enjoying the race it inspires him to create a great horse racing of his own. He returns to Kentucky and initiated a club to raise funds to build a track, also known as Churchill Downs at these days. The track distance was inspired by the Derby at Epsom of 1½ miles but later changed to 1¼ miles in the year 1896. Churchill Downs is one of the iconic sports arenas in the world and in the record it can host up to 170,000 people as it did in Kentucky Derby Day. The first race was on May 17, 1875, and was witnessed by 10,000 people in attendance. The race was won by a three-year-old chestnut colt, Aristides who also finished second on the Belmont Stakes. Horse racing kind of business did not bloom right away but not until 1903 under the leadership of renowned Matt Win, Kentucky Derby began to profit and it became popular. But in the 1990s there was movement from neighboring states to abolish horse racing but Kentucky surpasses the threat and continues to be popular as they were on news to have the very first filly to win the derby in the year 1915 and continue to gain its exposure on their popularity. Their winners are now given gifts such as gold buffet service, candlestick, magnificent cup and a great trophy each year from 1922-1924 as a sign of their victory. The Kentucky Derby Race became even more popular as they began to be broadcasted in radio in 1995. The Kentucky Derby’s racing history and annual tradition was interrupted by a great depression in the 1930s. The year 1938 a tunnel was built that led from grandstand to the infield and opened to the public with an admission price of 50 cents. The opening of the tunnel makes things better to Kentucky Derby. Another stepping stone for Kentucky Derby’s popularity is when it was first televised locally in 1949 where they celebrated their 75th annual tradition. When Matt Winn passed away, Bill Corum took over that brought the Derby to big improvements such as the CBS broadcasts the Derby nationwide, concrete firewalls were constructed to the barns, additional seats were added to the Derby, filming of the race was also done for replays, and they added sprinklers system in the grandstand and clubhouse. More improvements were done during the 1960s. In 1973 the legendary Secretariat with Jockey Ron Turcotte Astride breaks a record of 1:59 2/5 time at the Kentucky Derby. In 25 years it is the first Triple Crown win which brought the public’s focus on horse racing. In 1974 another record-breaking event was made during the 100th Kentucky Derby, 163,628 people joined to watch the race. Over $25 million was invested to the Derby for improvements and marketing campaign throughout the 1980s and 1990s. They also launched their own website www.kentuckyderby.com during that year. 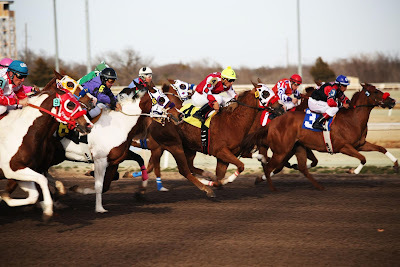 From the year 2000 until today Kentucky Derby continuously evolving, from their grounds, security, they increased their TV coverage that adds the number of people annually attends the race. Throughout the years there are some traditions in Kentucky Derby remains in their annual celebration such as the stunning ladies hats and the official drink of the Kentucky Derby which is the Mint Julep. Mint Julep is an iced drink with bourbon, mint, and sweet syrup served in a commemorative Kentucky Derby Glass that comes in different design throughout the years. Raleigh DeGeer Amyx who lives in Louisville, Kentucky. He is a world-renowned collector of historical memorabilia, one of his collection is the extensive collection of Official Kentucky Derby Mint Julep Glasses. The purse of the Kentucky Derby is about $2million on these days, the first place will take home for about $1,425,000. Things just run fast at this sport just like the horses on the actual race, the very first winner of the Kentucky Derby in 1875 just took home $2,850 while the second placed horse earning just $200. In betting on the Kentucky Derby you need to be updated about the race. You should already know who are the front runners. You also need to know the history of the race which can be accessed through their website, https://www.tvg.com/promos/kentucky-derby/kentucky-derby-history.html. All of that can help you bet for the winner of this race. Because if you bet to Kentucky Derby Race without knowing anything about the race it will only give you less chance in choosing the right winner. In Kentucky Derby year by year it offers new for their audience as part of their marketing campaign and for now, betting is much more exciting. You can now bet in your favorite horse on the web. It gives you convenience in your time, energy, and hassle-free. Kentucky Derby Race gives you the power to bet in your own hands.